So far, we only knew about the internet services such as 2G, 3G, 4G and the upcoming 5G, which is an evolving standard. 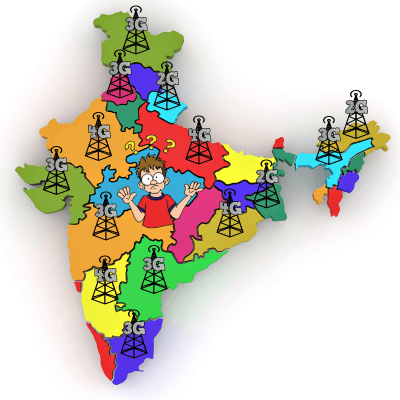 Adding to this list, India has discovered another service, known as SIX-G. As per the official statement by ICC (Indian Cellular Commission) an exclusive body setup to promote innovation, SIX-G will be available for all telecom subscribers starting today. The SIX-G has been tested thoroughly and is compliant with ICC standards. Traditionally, communication standards of the world are standardised as per the cellular communications standards drafted by an organisation known as 3GPP (3rd Generation Partnership Projects). However, SIX-G has been standardised by our very own ICC, which is an Indian body and works according to domestic norms. Surprised? We too were as clueless and curious about the whole thing as you are, that is why, to dig out more about it, our reporters approached the ICC. In an exclusive interview, ICC Chairperson has let out some details about Six-G.
TT: How did you start on this journey of SIX-G? Where did it all start? ICC: It all started one fine day, when Mukesh Jee was having tea with Sunil Jee and discussing the “G’s” of the world. They discussed 2G and 3G in detail and fought over 4G. They had a very limited knowledge about 5G. This made them think and soon one thing led to another and a new “G” was formed, which later was named as SIX-G.
TT: Why did you name it SIX-G while all the other Gs are just numbers like 2,3,4,5? TT: What purpose will it serve? ICC: Our Indian operators are so busy fighting over the limited availability of Gs- 2G, 3G and 4G, we thought of bringing in one more G. It will ease out the fighting as operators will be curious and will focus on learning and implementing SIX-G.
TT: How is SIX-G different from 3G or 4G? ICC: That is the beauty of SIX-G. While 3G and 4G claims to provide more speed, in reality it provides almost the same speed as 2G. That’s were Six-G is different. We make no such claims. Also the whole business of towers will come to an end here since for accessing SIX-G people will have to use smart-caps which will sit on the head of the person and will connect to their phones and to the communication satellites for transmitting voice and data. This will give full coverage even in remote locations where cell phone towers do not exist but are in the view range of the communication satellite. TT: Will the smart caps emit radiations and cause harm to the individuals? ICC: It was one of our biggest concern at the development stage since the smart cap will be worn on the head of a person. Keeping the risk in mind, we have taken special precautions for it. We have used double standardised HEPA ULPA advanced filters, which will take care of all the radiations and in-turn making smart-caps completely safe for human head usage. TT: Will there be roaming charges attached if a person wearing smart-cap travels from one city to another? ICC: Smart caps will involve roaming charges and if one person wearing a smart-cap moves from one circle to another (which will be determined by the satellite from the GPS location of your handset), he will have to pay roaming charges based on the plan he has subscribed to. While we are still trying to digest this news and get a grip on SIX-G, dear readers, please let us know if you have any questions regarding the revolutionary SIX-G service. Simply drop in your queries in the comment box below and we will try to get the answers from ICC. As we got the information first, Six-G Smart-Cap Network wants Telecomtalk readers for an exclusive test drive and they are ready to provide free SMART CAP as a trial run to 300 Telecomtalk readers. The SMART CAP will be valid for 90 days. For more information stay tuned to Telecomtalk. If you like to try and test Six-G Smart Cap do comment with your name and circle give appropriate working email ID while commenting and why you deserve a SMART CAP and how you planning to use it. So what are you waiting for start commenting to enjoy the free trial Smart Cap, may the best person wins. 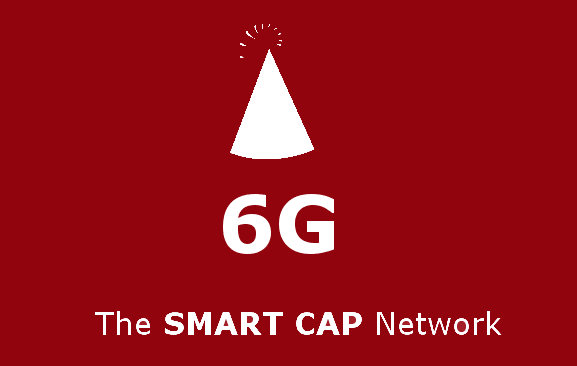 Update: So smart people hit the bulls-eye but for those who are still wondering about the 6G Smart CAP and ‘Early Bird Communications’ let me tell you it was an April Fool prank. Some even found out that we were playing a prank and commented saying so, Sorry our intelligent readers we didn’t publish your comments during that time just to make sure we can fool all others in a bigger way, we have now approved all the comments. Happy 1st of April (April fool)!